Are we pushing the human race towards extinction - again? I am trying to figure out if near-extintions were caused by the giants. The Norwegian scientist and adventurer Thor Heyerdahl observed climate changes all over the world. He was afraid that our future is threatened by our use of fossil fuels - and asked if the human race was about to make itself extinct to almost the last man. Again. The Norwegian researcher and adventurer Thor Heyerdahl of the Kon-Tiki fame travelled the world almost non-stop his whole adult life to find our cultural origins. "To be able to say something about the future you must know the past," was what he said. Not long before he passed away in 2002, he asked me on the phone if we humans might have gone extinct almost to the last man before, might be several times. And he wondered if we could have been the culprits ourselves, as so many legends and religious scriptures say. Since that phone-call I have worked as much as I have been able to in my spare time to find answers to his questions. And I am getting more and more convinced that Heyerdahl was on to something very, very important. The Greeks legends are telling that there were four ages of humanity (or five if you include the Heroic cycle). The first was The Golden Age. The many gods of the time, like the major god Zeus, lived on Mount Olympus but mingled among the ordinary humans. Lesser gods were called titans and one of them was Prometheus who stole the fire from the gods and gave it to the humans. Wikipedia clams that The Golden Age according to the Greek poet Hesiod was from around 500 to 300 BC and ended in a war between Athens and Sparta - but this is wrong since Hesiod shall have lived between 750 and 650 BC. So The Golden Age must have been earlier than that! The Silver Age followed the Golden Age, and during this Age the people lived to be a hundred years but men refused to worship the gods and Zeus destroyed them for lack of respect. So Zeus created new humans out of the ash tree. The Bronze Age was undone by the humans' violent ways and came to an end with the flood of Deucalion. Deucalion can be compared to Utnapishtim of the Sumerian flood in the Epic of Gilgamesh, and to Noah of the Flood from the Bible. The Iron Age followed and it was definitely not a good age, with humans living in misery - with a total lack of respect for anything or anybody. This brought this Age to an end. The fifth age was The Heroic Age, where the heroes fought at Troy and Thebes. This race of giants disappeared when the heroes went to the Elysium Fields; a place that according to Homer was located on the western edge of the Earth. The Greeks people of the time did not believe that what the poets Hesiod and Ovid wrote was mythology or fairytales but events that had taken place - the gods and titans were real, the downfalls of humanity were real! Also the Chaldeans of ancient Mesopotamia (today what is most of Iraq and Kuwait, the eastern parts of Syria and south-eastern Turkey) have legends about cycles of time named after gold, silver, steel and iron, and so did the people of the Persian empire established by Cyrus the Great in 550 BC. In Egypt they believed that the world had arisen out of the lifeless waters of chaos, called Nu. 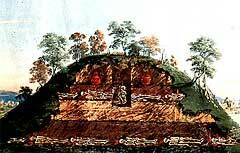 A pyramid-shaped mound, the "benben", was the first thing to emerge from the waters. Diodorus Siculus, a Greek historian who lived between 60 and 30 BC says: "The Egyptians were strangers, who, in remote times, settled on the banks of the Nile, bringing with them the civilization of their mother country, the art of writing, and a polished language. They had come from the direction of the setting sun and were the most ancient of men." When the Great Pyramid first was opened an inch thick layer of salt was found inside up to a level corresponding to the watermarks on the outside. Might be the Great Pyramid was the "benben"? Robert Schoch, a geologist and professor from USA, created a fuss when he dated the Sphinx to be much older that earlier believed - at least 7.000 years old. Now, two Ukrainian researchers have proposed that the Sphinx of Egypt is around 800.000 years old, and they back it up by science! Not only does the dating of the Sphinx point to a period long before the first dynasty but there is also used a technology in ancient Egypt that should not have existed at that time. Take jars and bowls made of granite and basalt. Some of them are fully hollowed with narrow undercut flared openings, and some even have long necks. They would be hard to make even today with modern equipment like diamond tipped drills. Yes, it is safe to say that the techniques or machinery employed to produce these jars and bowls has yet to be replicated! When examined in 1968 it was reported that the Great Pyramid was permeated with a mysterios energy that "defied all known laws of physics". The latest news (November 2017) is that archaeologists has discovered a mysterious void deep within the Great Pyramid. It has been said the Great Pyramid stemmed from the Golden Age of Giants before the Great Flood. Graham Hancock is a British researcher of ancient technology. In this Youtube-video he says he has no idea on how the Great Pyramid was built: That the knowledge needed to build the pyramid with such a precision did not exist at the time the pyramid is said to been have built. And asks if it was built in a time of humanity unknown to us. The Aztecs of Central America (and the Maya before them) called the ages/periods for "suns" and they believed that we have been through four suns. In the first sun the first god, Ometeotl, was both male and female and had created itself. Ometeotl gave birth to four children; Quetzalcoatl, Tezcatlipoca, Tlaloc and Xipe Totec. They created the world with humans and other gods. The humans in the first period were giants. Quetzalcoatl and Tezcatlipoca had a fight which Quetzalcoatl won but Tezcatlipoca took revenge be sending jaguars that killed all the humans/giants and ended the first sun. In the second sun humans were created again but this time not as giants. But it so happened that the humans became corrupt. Tezcatlipoca did not like this and transformed them all to monkeys - and sent hurricanes to wipe them out. Tlaloc was responsible for the third sun but Tezcatlipoca stole his wife. I revenge Tlaloc transformed alle the humans to dogs, butterflies and turkeys. Quetzalcoatl also got angry, and sent fire and ash that ended this period/sun. The god chosen to reign the forth sun was Tlalocs sister Chalchiuhtlicue. Quetzalcoatl and Tezcatlipoca got jealous and turned the humans into fish. This sun/period was ended by a great flood. We are now in the fifth sun and the legends foretell that our sun/periode will end in earthquakes. The Hopi Indians of Arizona in USA say that we have been through three world cycles - that we are now in the forth. Tawa, the Sun Spirit, was the creator and he had formed the first world with all it's inhabitants out of endless space. In each previous period/world the people had become disobediant to what Tawa wanted; they would not live in harmony but fought each other and engaged in sexual promiscuity. So the worlds were destroyed with their wicked inhabitants and just a few survived. The Hopi are today afraid that the cycle we are in will come to an end if we do not change our ways. Their legends also tell that they originally lived in a land in the middle of the Pacific Ocean but had to flee when the sea rose. The God that helped them get from island to island across the ocean was Sky Kachina, and she had six fingers and could fly. The Four Creations are stories that were recorded in the 1950s by Oswald White Bear Fredericks and his wife Naomi from the storytelling of older Hopi at the village of Oraibi. Also in North America there has been controversy of what caused near glacial conditions during the Younger Dryas. The most common theory was here, like many other places in the world; that the cooling was caused by a comet hitting the Earth. New research contradicts this: "Chronological evidence fails to support claim of an isochronous widespread layer of cosmic impact indicators dated to 12,800 years ago", said archaeologist David Meltzer at the proceedings of the National Academy of Sciences in 2014. So what caused the cooling of the USA? Nobody seems to know. What now seems to be certain is that North America was inhabited thousands of years earlier than before believed. And we know there are many stories of giants coming from overseas with an advanced technology: The Mound Builders. And also hundreds of newspaper articles telling about large bones found in mounds and elsewhere. The hindu of South-East Asia believe that we humans have been through three cycles of time, and are now living in the fourth. 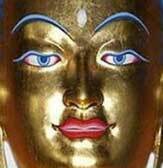 The first period was the Satya or Krita Yuga, and this was considered a Golden Age. The second was The Treta Yuga, the Age of Ritual. The third period was the Dvapara Yuga, the Age of Doubt: Man loses the sense of the Divine Reality of the world and grows away from natural law. The Kali Yuga, the Age of Conflict and Confusion, began in 3012 BC and will end with the nearly total devastation of the present humanity. There is almost no memory of the previous cycles of time so we do not know much about the dates and duration. James Churchward was a retired British officer and archaeologist that had served in India and he claimed that a Hindu priest had showed him ancient clay tablets telling about a lost continent. After mastering the language himself, he said that Mu was the home of an advanced civilization which flourished between 50.000 and 12.000 years ago. Mu should have had 64 millions inhabitants, plus colonies on the other continents. Churchward claimed that Mu was located in the Pacific Ocean, stretching north-south from Hawaii to the island of Mangaia in the Cook Islands, and east-west from the Mariana Islands to Easter Island. The inhabitants had been a white rase "superior in many respects to our own", but eventually Mu was "completely obliterated in almost a single night"
So what do we actually know about the different cycles of time? Are the legends about earlier times in human history just myths and fairytales - or are they the history books before we humans got a written language? Well, the first period of mass extinction on Earth, as far as we know, was the Cretaceous-Paleogene extinction event that led to the extinction of most dinosaurs about 66 million years ago. The so called "Ica stones" is a collection of andesite stones found in Peru with depictions of dinosaurs and also tall humans. The mainstream scientists claim that the Ica-stones are fake since humans did not co-exist with dinosaurs. The man that found them in the 1960s admitted at one stage to have made the carvings, but later but later recanted this, saying that he had claimed they were a hoax to avoid imprisonment for selling archaeological artefacts. Many of the so-called "Acambaro Figurines" found in Mexico depict dinosaurs. Most scientists believe that the figurines are not genuine, and again; no humans have ever seen a dinosaur, they died out long before homo sapiens came to existence. Well, thermoluminescence testing has shown that the figurines are about 4500 years old. The question is then: How could somebody make a figurine depicting a dinosaur, when fossil records of dinosaurs did not exist? On the walls of the Ta Prohm temple in Cambodia there are hundreds of carvings of familiar animals but one of the carvings seems to be of a Stegosaurus dinosaur! Again; the main stream scientists say that this is a hoax or that the depiction does not show a dinosaur. But research has shown that the carved figure is old - and it definitely looks like a Stegosaurus! There are also other findings showing humans at an very ancient time, like the "Petralona man" in Europe found to be 700.000 years old and the Valsequillo artefacts from Mexico (included a engraved "green" mastodon bone!) dated to ca. 250.000 years before the present. The aboriginal people of Australia have legends about a very ancient time when tall humans walked among the big animals, like the "bunyip". There have been found what is believed to be ancient human footprints together with dinosaur footprints in Australia and the same goes for footprints in Texas! Yes, resent finding of ancient footprints suggests that "humanlike creatures" may have roamed Crete, Greece's largest island, nearly 6 million years ago! And the latest "breaking news" is that 9.7 million old "humanlike teeth" has been discovered in Germany! These findings could (or should) so absolutely rewrite the history of mankind! I believe that the 11.000 year old head of stone found in Nevali Çori, close to Göbekli Tepe in Turkey, also could rewrite history. From the top of the head and backwards is something that the archaeologists claim is a snake or a hairstyle called "shika". Well, I have never heard about a snake with such a head - and the shika hairstyle does not at all look like that! Or what about the ancient Serpent Mound in Ohio, made thousands of years ago by a the earlier mentioned Mound Builders? There were over 10.000 burial mounds in Ohio but unfortunately the early pioneers destroyed most of them. The Ohio Valley shall according to legends have been inhabited by a race of giants. A "serpent" is an old name for a snake, but the figure in the old map of the Serpent Mound does not really look like a snake either. But take a look at a human sperm and you will see likenesses - but of course the people of the time did not have microscopes and did not know what sperm look like. Or did they? supposedly found in Germany and in 1958 a jawbone of a child was found in Tuscany in Italy. In 1891 a gold chain as found in a chuck of coal Illinois of the USA, and an iron pot was found in Oklahoma in 1912. In 1944 a man named Newton Anderson claimed to have found a bell in a lump of coal when it was mined close to his house in West Virginia. The bell shall have been analysed at the University of Oklahoma and it was found to contain an unusual mixture of metals, different from any modern usage. And take a look at the following webpage, here are pictures, explained with words, of ancient megaliths showing unexplained advanced technology: "12 Photographs Mainstream Archaeology Does Not Want You To See". These are just a few samples - and you will find the same all over the world. Chinese legends tell about former ages, called "kis", and so do Buddhist scriptures. And the Christian Bible. As well as the Norse legends about mighty gods and end of times - like Thor and Ragnarok. When it come to what we can call the most resent end of times about 12,000 years ago there are hundreds of flood stories all over the world. And new research by acclaimed underwater archaeologist Robert Ballard in the Back Sea off the coast of Turkey has found traces of an ancient civilization hidden underwater since the time of Noah. 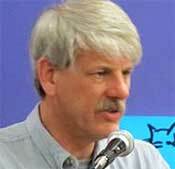 He believes that he has found proof that the biblical flood was actually based on real events. A massive network of 12,000 year old underground tunnels has been discovered beneath Europe. By Robert Sepehr who is an author, producer and independent anthropologist. Well, it is impossible to go back in time. Some say we will get the answers to questions of ancient times and gods when the so called Osiris tomb (Osiris was the god of the dead, but also of resurrection and fertility) under the Great Pyramid will be opened. There is supposed to be a tomb deep down under the pyramid, with a sarcophagus covered with water that kind of fizzes when items are thrown down. The question is also if the Great Pyramid is far, far older than we have been learned to believe (it is different to other pyramids). So who made all the megaliths and other very ancient structures and items that the people of the time should not be able to make? Who made the huge wall of Sacsayhuaman of Peru in South America? Who made the "impossible" wall of Baalbek in Lebanon with stones weighing more than 1000 kg? Who made the impressive Tihuanaco high up in the mountains of Bolivia? And the Great Pyramid and jars made of basalt in Egypt? Well, the legends tell that there was a race of giants behind all this; tall humans with an advanced technology. Most often it is said that they were survivors of a worldwide deluge. These giants were often called gods, and they helped the people to develop what we call civilization. Very often they became the kings/rulers of the countries. So what happened? How come they disappeared? Some scriptures and legends say it all came to an end when the people stopped to respect them. Some were killed, like Goliath, who is said to have been the last of the Anakim giants in Caanan. Some legends say that the surviving giants after the deluge were all male, while other say that the conditions on the earth changed so much that they died out like the dinosaurs. Or might be their existence was against the Gaia principle that there is a self-regulating complex system that maintains the conditions for life on our planet; that they did not fit in? In Genesis 6:1-5 we can read: "The Nephilim were on the earth in those days, and also afterward, when the sons of God came into the daughters of man and they bore children to them. They were the mighty men who were of old, the men of renown." There is some discussion on who the Nephilim were. Some say the Nephilim were the offspring of the "sons of God" and the "daughters of men", but other say that the word "Nephilim" mean "Giant". And that makes more sense doesn't it? And be aware that the word God is translated wrong (on purpose?) from the oldest scriptures - the world used in the Hebrew Bible was "Bene Elohim", which means "gods" - not "god". There never was only one god! Might be Nephilim DNA mixed with human DNA did not go very well? But my question is: Might be their technology was too advanced? Some researchers say that The Great Pyramid was a power plant. Well, might be they actually got it up and running - and that it created more problems that it solved? Catastrophic problems?? The genius Nikola Tesla wrote an article called "The Problem of Increasing Human Energy". He worked for years trying to make a "Self-acting Engine" that could run indefinitely from the solar energy stored in the air. But he was not successful - and might be we should be happy he was not? There is so often a negative side to easy solutions - and remember that the energy is always used for something and that the end-product of energy is heat! Catastrophism: the theory that certain vast geological changes were caused by catastrophes, sometimes worldwide in scope, rather than gradual evolutionary forces. Uniformitarianism: the theory that slow incremental changes, such as erosion, created all the Earths geological features and that processes that operated in the remote geological past are not different from those observed now. So if we have had periods on earth when humans died out to almost the last man as Thor Heyerdahl asked, and I have tried to look into - why have we not heard about it? Lloyd Pye was one of the first researchers to claim that human origins might not be the way we have learned in school. ,"Everything You Know Is Wrong" was his famous book where he writes that there is an "incredible array of obscured, forgotten, and even deliberately hidden facts" when it comes to human history. Today more and more researchers; like Graham Hancock, David Hatcher Childress, Michael Cremo, Robert Schoch and John Anthony West, ask if we have a hidden and forbidden history: That hardly anything we have learned about the early human activity is correct. And as you have seen: My research agrees. Why shall we not learn about it? Well, that it a great question - might be you have the answer? Ok. Ok. So we might have been through periods of time where we went under to almost the last man as Thor Heyerdahl asked but will it happen again? in fact it was only the end of a cycle in the ancient Mayan calendar. Remember that the Hopi Indians are saying that we are now living in the fourth cycle/world? Many Hopi elders claim that we are living in the final days of the last world. Dan Katchongva, a spiritual leader of the Hopi, said the following in 1970 of what will be the signs: "Nature will speak to us with its mighty breath of wind. There will be earthquakes and floods causing great disasters, changes in the seasons and in the weather, disappearance of wildlife, and famine in different forms. There will be gradual corruption and confusion among the leaders and the people all over the world, and wars will come about like powerful winds." Some say that according to many legends and scriptures (even the Bible); that the end of time will be in 2025. We will have to wait and see! 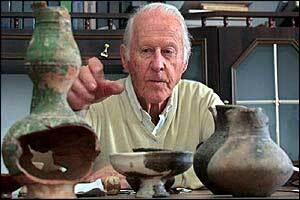 .Thor Heyerdahl started the Foundation for Exploration and Research on Cultural Origins (FERCO) in 1992. After his death in 2002 the foundation was closed. Thor Heyerdahl was very afraid that it will be our use of fossils fuels like oil, coal and gas that we give us humans problems this time. Here is what Cecilie Mauritzen, lead author of the 4th and 5th Assessment Reports of the Inter-governmental Panel on Climate Change, and also Chief Scientist at the Kon Tiki 2 Expedition, said at the Paris Climate Change Conference in November 2015 - all in the spirit of Thor Heyerdahl (and on behalf of the ocean): "I wish to turn your attention to an aspect of climate change that you have quite possibly never considered. It is an issue of great importance and grave consequences for the ocean, namely that of oxygen depletion. Well, the ultimate reason is the emission of carbon dioxide associated with combustion of fossil fuels. This emission creates temperature increases in the ocean, just like on land. And when the surface ocean gets warmer it gets more buoyant, making it difficult to mix the surface waters with the deep water. This is a worrisome trend that we, the Ocean, worry deeply about, not just because it affects our own creatures, but because it affects all Earth's creatures, great and small, rich and poor, women and man, child and old. There is only one way to stop this worrisome trend, namely to curb the emissions of carbon dioxide." Some years ago I asked a scientist in the USA specializing in DNA if there were ever found human DNA (deoxyribonucleic acid; the hereditary material in humans and almost all other organisms) in crude oil. I was wondering if oil not only could be remains after plants and animals washed to the sea in a worldwide catastrophe but also humans. He answered that oil had been formed under too much pressure and too hight temperatures for any DNA to remain but he thought my question was interesting! So who knows; might be you are driving your car on the remains of your ancient forefathers! Thor Heyerdahl was first of all a scientist, and he researched early human history all of his adult life. He said that to be able to say something about the future you must know the past. He was very afraid that our use of fossil fuels like coal, oil and gas could bring us to the brink of extinction again: He travelled around the world almost non-stop, and he had seen climate changes everywhere he went. I was as earlier mentioned in contact with Heyerdahl, mostly because I was called "the world's first climate refuge" by media all over the world when I was forced to leave the home I had built in my Polynesian wife's country Tuvalu. Tuvalu is so close to the equator that according to the books you shall not have any cyclones there. After three of them had threatened to wash us to the sea we left the island life we loved and moved to Norway, the country of birth to Thor Heyerdahl and myself. We had our little daughter Sonia and felt responsible for her; the islands of Tuvalu are flat atolls barely peeping out of the ocean. 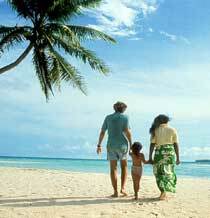 Well, we could leave but the other people of Tuvalu could not; there are immigration laws everywhere. Australia and New Zealand have promised to take the Tuvaluan people in if something seriously happen but then of course it might be too late for many of the country's 10.000 people! There have been cyclones also after we left but luckily nobody had been killed - so far. My wife's brother Mau had his house washed away but he and his son managed to survive by climbing up a nearby three. "You have a big mission in bringing your scary message forward. You have felt something we all will eventually experience if we do not change our ways in time", is what Heyerdahl wrote to me in a letter in 1997. Of course I could not just sigh of relief when settling down in Norway, safe from cyclones. My wife's family is still in Tuvalu! They are not allowed to go to Norway either; it does not matter if I am Norwegian citizen! So I started a campaign to get the Norwegian government to understand the dangers of climate change. I even wrote a letter with a plea to the king that Sonia delivered personally to the royal castle! I got a response from the government but they could not promise anything. I was a couple of times on the TV in debate programs; "what an angry man" was all the response I got! So in year 2000 I started an internet magazine, Klima Nytt (Climate News), where I daily, without a cent for it, publish the news from the Norwegian newspapers on the internet when it comes to climate change and climate politics. 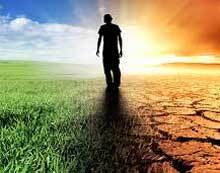 So far there are no good news - the climate changes are getting worse and worse and we are hardly doing anything to stop them. The World Commission on Environment and Development (WCED), the so called Brundtland Commission (led by the then Norwegian prime minster Gro Harlem Bruntland) was established by UN in 1983 "to unite countries to pursue sustainable development together". The commission concluded that it saw no other option for the world, the industrialized countries, than to reduce the use of energy by 50 percent. Since that time I guess we have doubled, or even tripled, the use of energy - and nobody seems to worry. "We need more energy!" is what you hear every day! We will have to hope that the Paris Agreement of 2015 will be a step in the correct direction. The Agreement aims to "respond to the global climate change threat by keeping a global temperature rise this century well below 2 degrees Celsius above pre-industrial levels and to pursue efforts to limit the temperature increase even further to 1.5 degrees Celsius." As of October 2017, 195 UN-member countries have signed the agreement, and 169 have become party to it. But the question is of course how many countries that accentually will reduce their carbon emissions enough to honour what they have signed! It was not so easy for me to move to Norway of more reasons than it is cold there and far from my wife's family in Tuvalu: Norway is making most of its money from export of oil and gas. Yes, Norway even exports a bit of coal from the island of Svalbard! Fossil fuels like oil, gas and coal are the culprits when it comes to rising temperatures and dangerous climate changes. The climate changes are already killing several hundred people every week! So in that way I feel I am partly responsible that my wife's family is living with a constant fear of drowning. - The most abundant GHG, carbon dioxide (CO2), is the product of burning fossil fuels. So how long time do we have left before we might face extinction? Professor of mathematics and astronomy at University of London, Stephen Hawking, is often called the brightest star in the scientific universe. In the BBC's science series Tomorrow's World, Professor Hawking said he thinks due to climate change, overdue asteroid strikes, epidemics and population growth, humans will need to find a new planet to populate within a single lifetime. That we have to abandon Earth or face extinction. - Mankind will be extinct in 100 years because of climate change! The comments were first made by Australian microbiologist Dr Frank Fenner in 2010, but engineer and science writer David Auerbach has reiterated the doom-laden warning in his latest article. He criticises the recent G7 summit for failing to deal with the problems facing the survival of humanity, such as global warming and exhausting Earth's resources. Mr Auerbach goes on to say that experts have predicted that 21st century civilisation faces a similar fate to the inhabitants of Easter Island, who went extinct when they overexploited their natural habitat. Biology professor Guy McPherson, from University of Arizona, believes there is nothing we can do to prevent the mass extinction of the human race. He claims human-driven climate change will bring about the sixth mass extinction of humankind within the next decade. He told Newshub: "It's locked down, it's been locked in for a long time - we're in the midst of our sixth mass extinction." Well, I do not know how long time it will take but I know we are in trouble - big time! After editing Climate News since year 2000 and having experienced how dangerous climate changes can be I know we have to act before it is too late. And time is running out! And it is so hard to have a positive belief in the humans of today. I am experiencing so many people in total denial. Like many people of Norway. Norway is already is experiencing more rain than normal, just as IPCC predicted a few years ago. But the so called climate sceptics just say that everything is normal. It might be easy to close ears and eyes for what is happening but that is not helping the future generations much! Why such an unwillingness to think of the coming generations? Or the people that already is suffering and dying from the climate changes? Why is the size of your own wallet more important than your children and grandchildren? What has happened to us? What has happened to our conscience? Something is terribly wrong!! So might be it is time to say bye-bye for good - or will we manage to turn around and change our ways? Humans in California 130,000 Years Ago? Another illustration (on a mammoth tusk; carved, polished and engraved ) said to be of snakes - in Mal'ta, Siberia: "On one side of the plate we can see three snakes. The snake is rare in northern hemisphere Paleolithic art, presumably because the cold conditions precluded a wide distribution of snakes. In addition, it can be seen that the snakes have very broad heads, as though they belong to the Cobra group - yet Cobras are now known only in southern asian localities." Does it not look much more like human sperm - like on the stone head from Turkey??  A tiny artifact depicting a human figure was found in 1889, when workers were drilling water well near Nampa, in southwest Idaho. The artifact skillfully formed in clay, is a true mystery that has baffled scientists for many years. Summary: About 12,800 years ago, thanks to fragments of a comet, humans saw an astonishing 10 percent of the Earth's land surface, or about 10 million square kilometers, consumed by fires. This is only one ancient map showing the world as we know it today - there are others, copies of even older maps! Who made them - and when? Your sincere concern and informed perspective are refreshing. And you're asking a question that richly deserves humanity's undivided attention. Alas, mass environmental epiphany (about carbon) isn't going to happen. So whatever happens to the positive will need to happen in spite of humanity's entrenched self-defeating ways. The old Margaret Mead quote about never forgetting what a small group can do is looming larger. I for one hope it's small groups doing good work and not a push by a desperate few into the politics of climate denial that sends our race and what remains of the natural order into the geologic record as a thin, black line of carbonaceous glop. I'd like to believe our species' best years are ahead, but first we've got to survive what we've accrued (and still piling up in fact) and learn how to make it work, or else. Wishing you the best of what's left, and what's right, in 2018. Using lidar, researchers have found that the recently-discovered city, known as Angamuco, was more than double the size of Tzintzuntzan  although probably not as densely populated  extending over 26 km2 of ground that was covered by a lava flow thousands of years ago. According to Fisher, more than 100,000 people are thought to have lived in Angamuco in its heyday between about 1000AD to 1350AD." A nine hundred years old city years old covered with lava many thousand years old? How can that be? And according to Wikipedia's "Timeline of volcanism on Earth" there were no volcanic activity in the area after 1350. The only volcanic eruption in Mexico the last thousand years or so was from Ceboruco "a dacitic stratovolcano located in Nayarit, Mexico, northwest of the Trans-Mexican Volcanic Belt. The largest eruption, the Jala Plinian eruption, was around 930 AD ±200, VEI 6, releasing 11 cubic kilometres (2.6 cu mi) of tephra." Well, there is a distance of more than 400 kilometres from Nayarit to the ancient city of Angamuco - so lava from this eruption could not have covered the buildings. Might be the ancient buildings are much more ancient than we believe? There shall have been volcanic activity in the area with lava flows - but that was more than 2 million years ago! 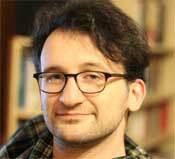 Science has published a new paper today (08 Dec 2017) looking at the peopling of Eurasia. The results of the paper challenge the single Out of Africa model by ultimately stating that it cannot fully explain the origins of modern humans.